I’ve acquired copy of the reprint of Peter Friedrich Ulrich’s La Fontaine Tarock (which is mentioned in Kaplan Vol. 2). 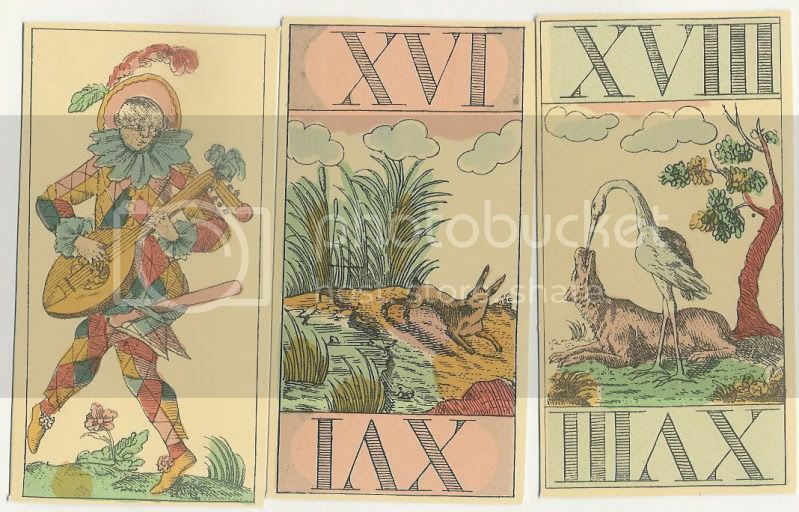 The original German deck is from round about 1780, the reprint dated 1980 by “Edition Popp”. 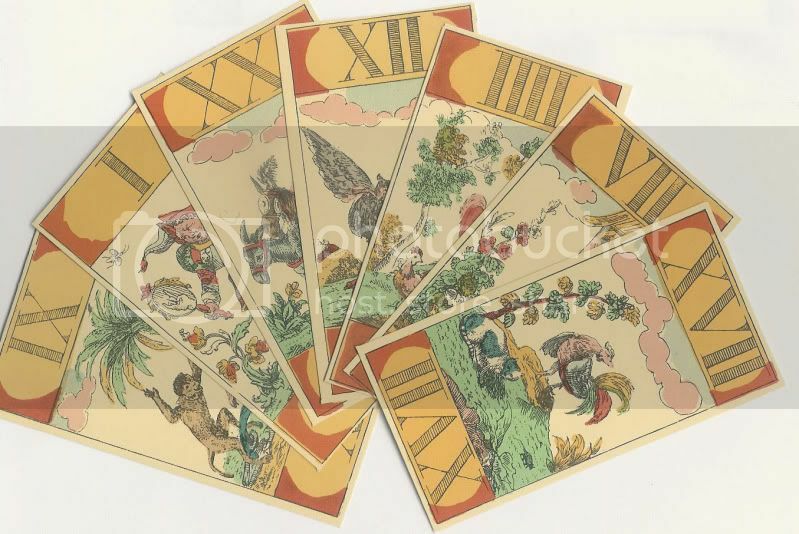 (in english: all sorts of fine cards are made by Peter Friedrich Ulrich merchandiser in Leipzig). The court cards of each suit are assigned to a continent, hearts is Europe, diamonds asia, clubs representing Africa and spades for America. 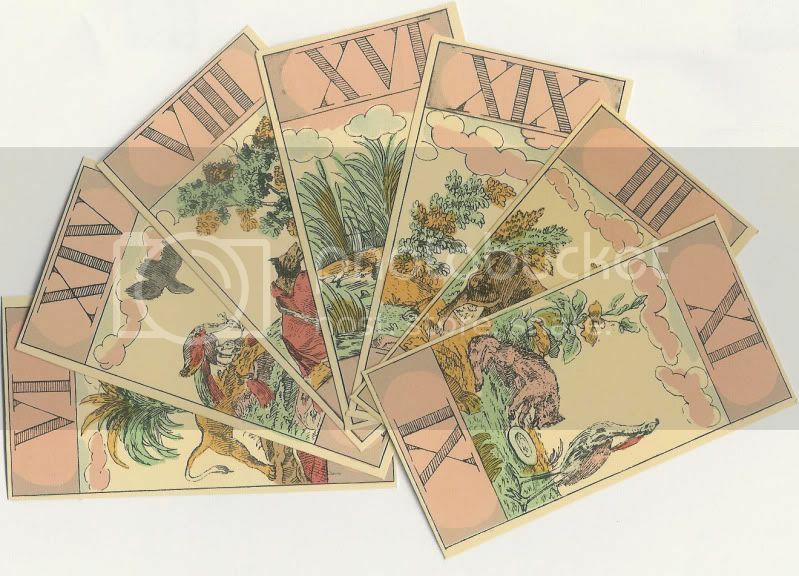 The pictures on the trump cards are illustrations taken from a book with La Fontaine’s fables. 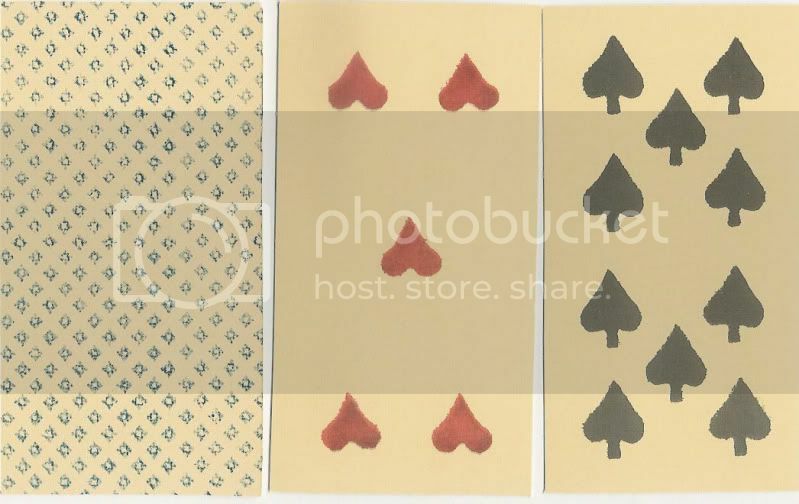 There are three groups of seven trumps, each with different border colors. 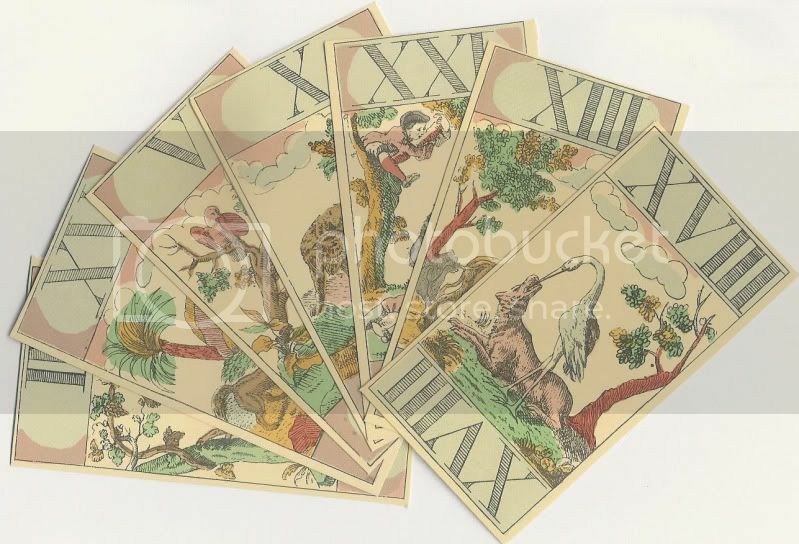 The unnumbered joker is a picture of “Till Eulenspiegel” a German folklore trickster figure. I have these too - aren't they lovely !